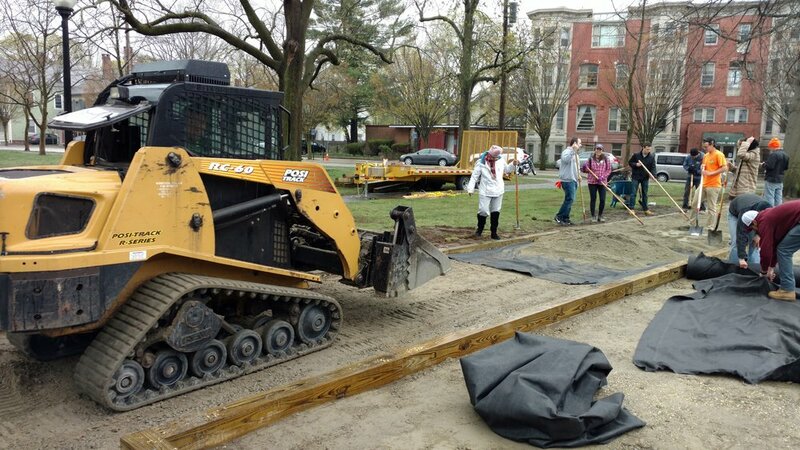 By all accounts, the Bocce Build and 34th Annual Spring Cleanup events on April 22nd were a great and inspiring success. 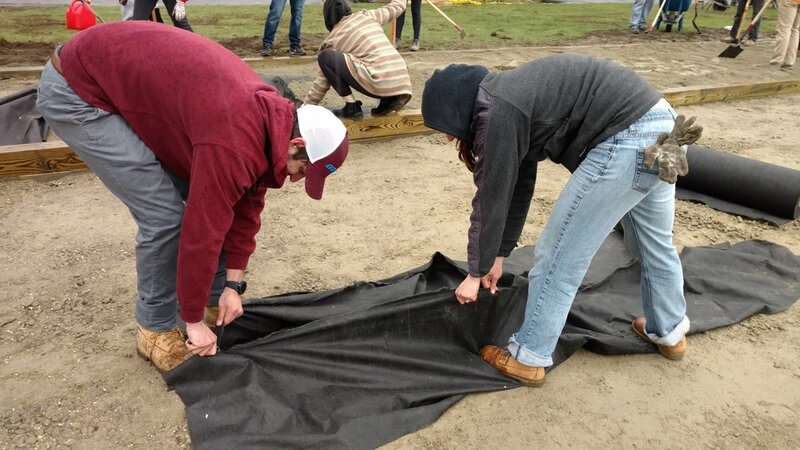 At least 180 volunteers came out, with rain having little to no dampening effect on the spirits of these helpers. 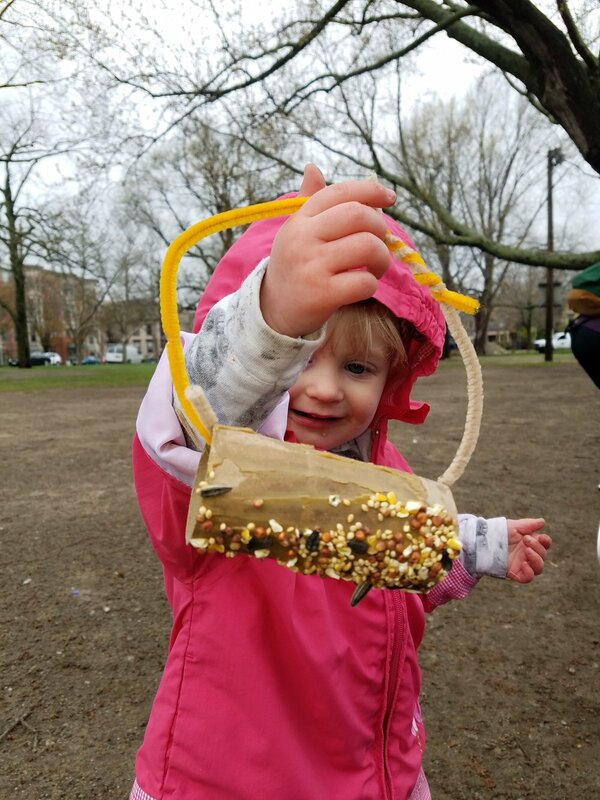 Volunteers from the Younger Member Group at the American Society of Civil Engineers, Rhode Island Chapter, and 33 Central High School students joined with west side residents and friends to make a significant and positive impact in our neighborhood. Thank you to the Parade Street Community Garden cleanup team and WBNA board member Emily Koo that joined our efforts in cleaning up Parade Street between Cranston and Hollis! And street sweepers were out cleaning the streets on the Monday after Cleanup Day! 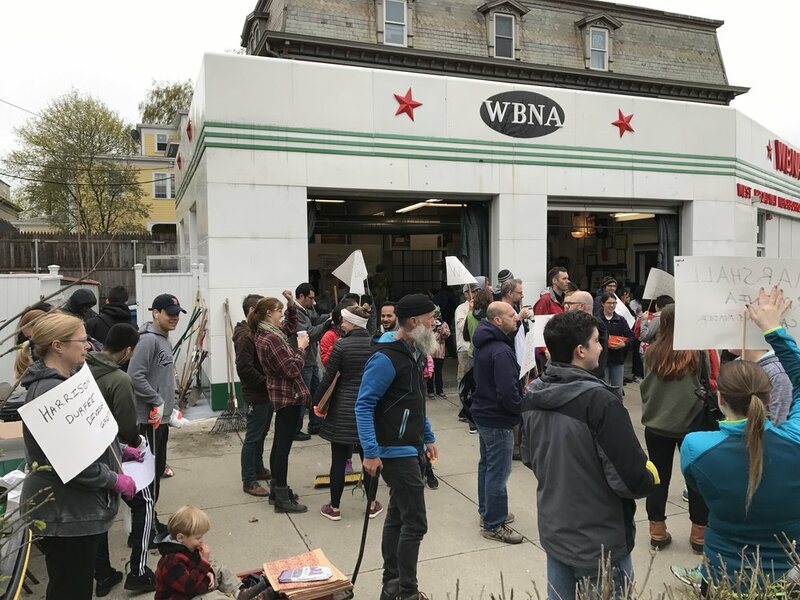 Huge thanks to Cleanup organizers Terry Snook and Amy Gerhard (Co-Chairs of WBNA Neighborhood Action & Crime Watch Committee), and Roderick Mortier. Also thanks to sponsors Aramark and neighbor-owned PuroClean, to Partnership for Providence Parks for their continued support and for the awarding a Mini Grant to the WBNA to help with the purchase of clean up related items, and to collaborators at the City of Providence and the Department of Public Works. First game played on the new courts? 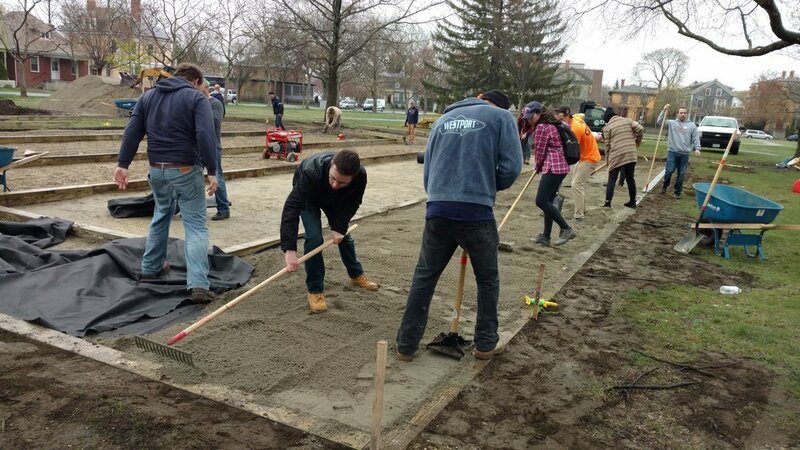 The Bocce Build struck into some wicked smart magic when engineers from the Younger Member Group of the Rhode Island Chapter of American Society of Civil Engineers showed up to help build two tournament length bocce courts alongside about a half dozen other volunteers and the Providence Parks Department. 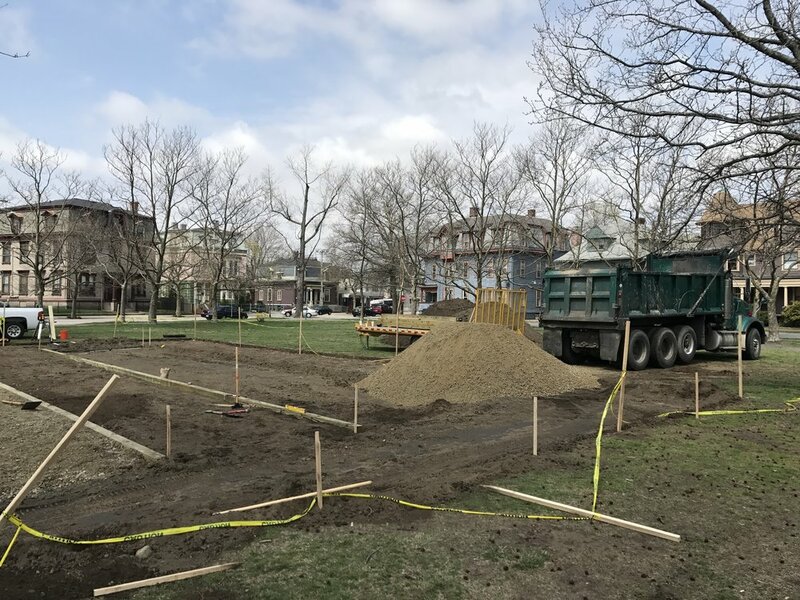 The engineers signed up through the Parks Department Earth Day cleanup program, and selected Dexter Park at the recommendation of one of their members who works for GZA located on Broadway. 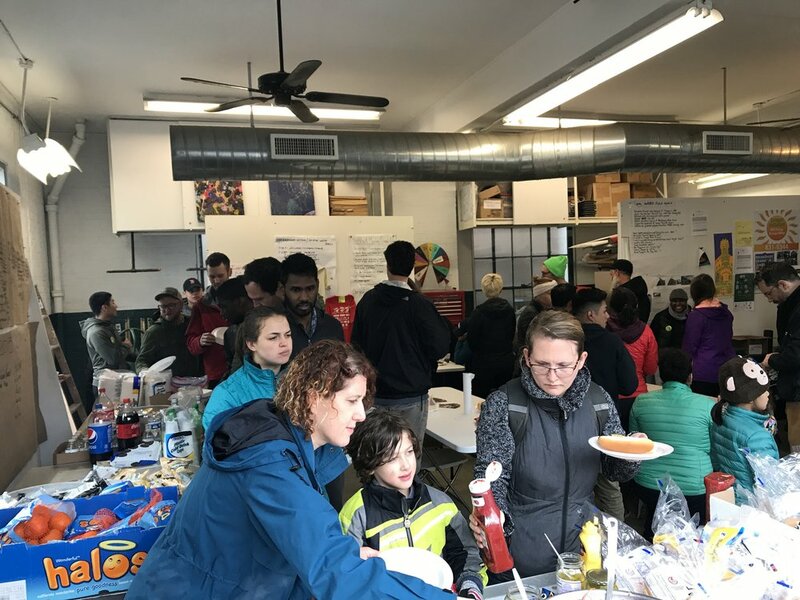 They represented firms including CDM Smith, AECOM, Pare Corporation, CDR Maguire Inc., VHB and GZA GeoEnvironmental, Inc. Assistance from this volunteer group of professionals was a welcome and helpful surprise! 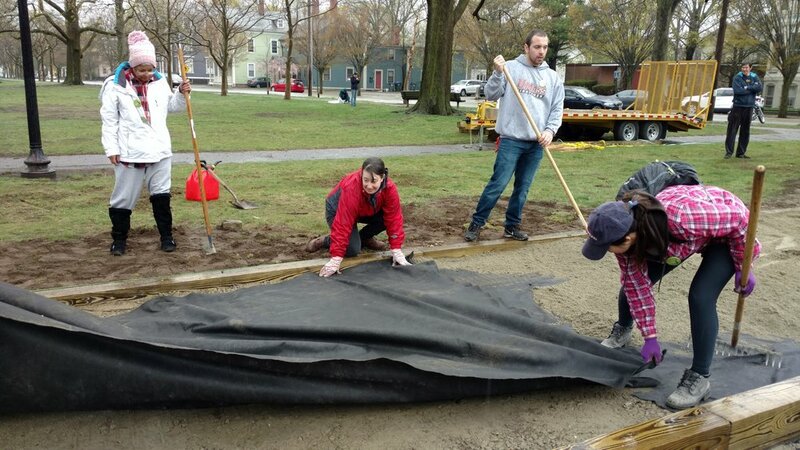 The Parks Department started its work a few days ahead, joining with volunteers on Build Day. 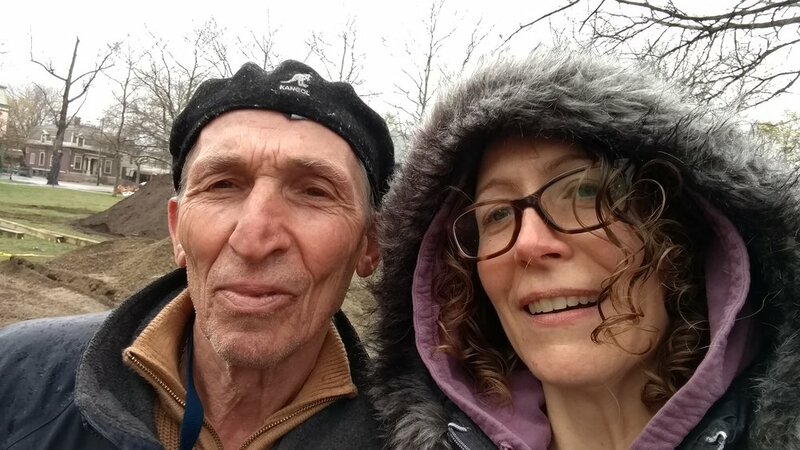 The Parks team was friendly, cooperative, and extremely diligent and thoughtful in its work. 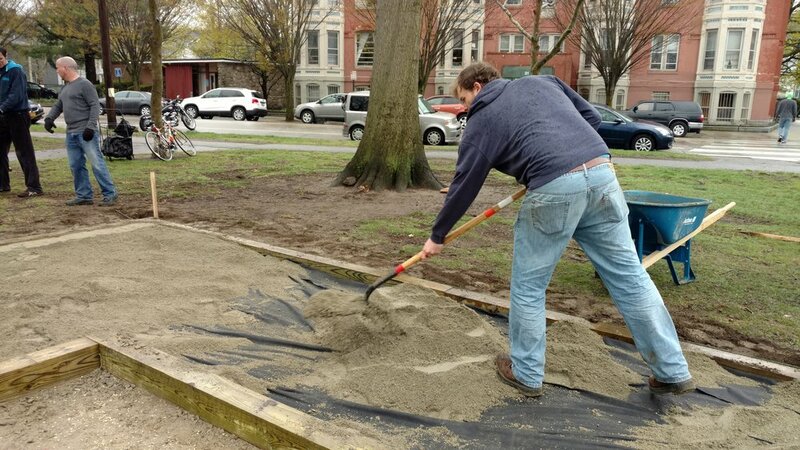 Building bocce courts requires a careful and thorough tamping down of the ground and cutting of timbers to ensure the playing surface is perfectly level. Parks carried this work out with great precision, and finished up the last remaining tasks a few days later. Other work during build week included moving the bulletin board near the courts for better access to posted notices and a concrete pad that was poured for a trash can. One side of the bulletin board is slated to include historical information about the park and bocce courts. Doug, Russ, Bob and Grace Jeffrey stopped by to visit and check out the project's progress. Russ, a talented chess player, offered to lead a kids-focused chess event this summer once the chess tables are installed. 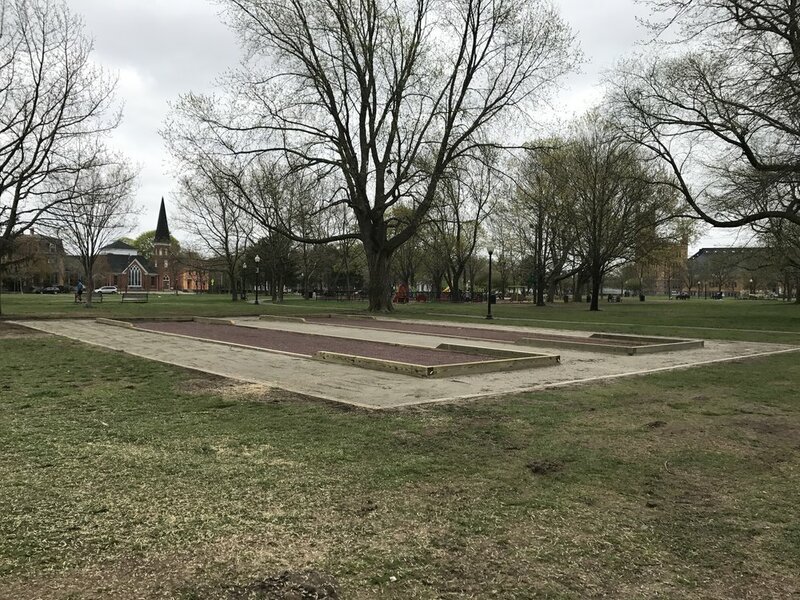 For more information about the Jeffrey Family's role and contribution to this project, please visit Bocce Courts and Chess in the Park. 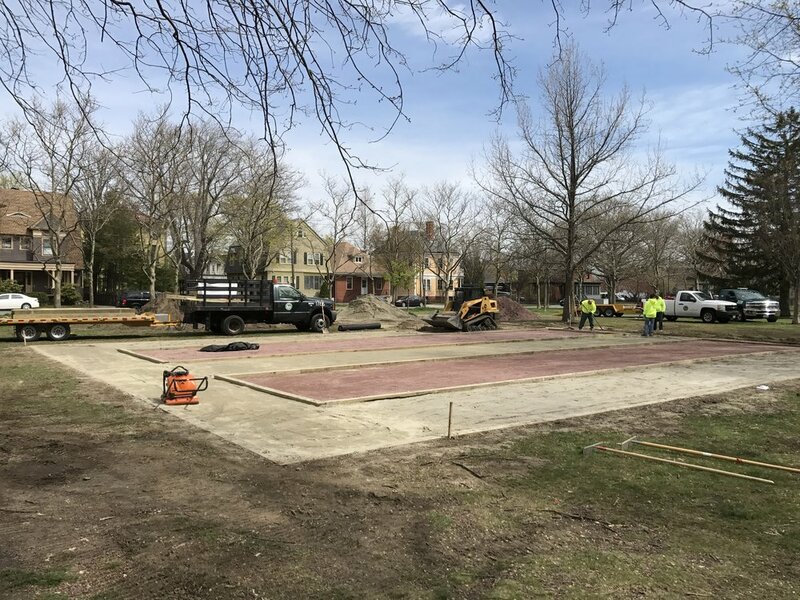 By the end of the week after the Build, the courts were done, and neighbors were spotted playing bocce on Friday evening (see photo above) – possibly the first game played on our new courts! 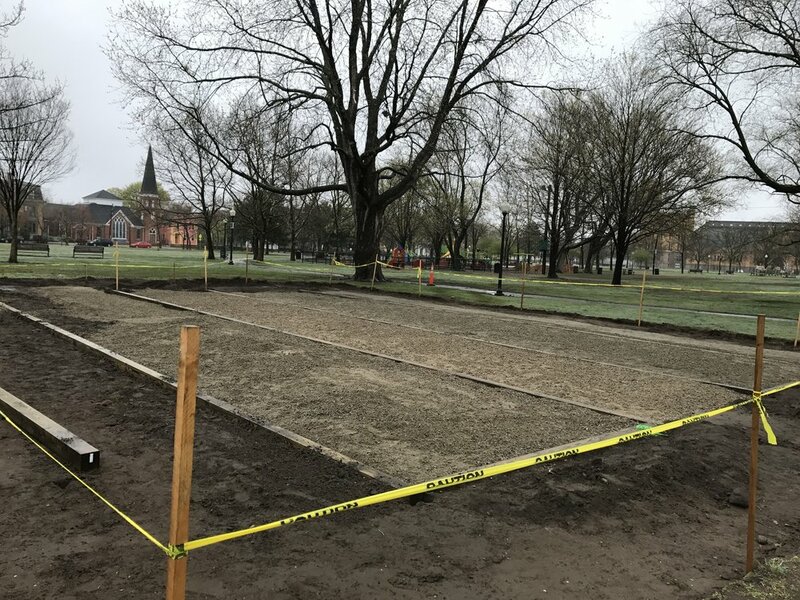 With Phase I now completed, Phase II of this project is underway with The Steel Yard making three chess tables and a sign that will be installed early this summer. 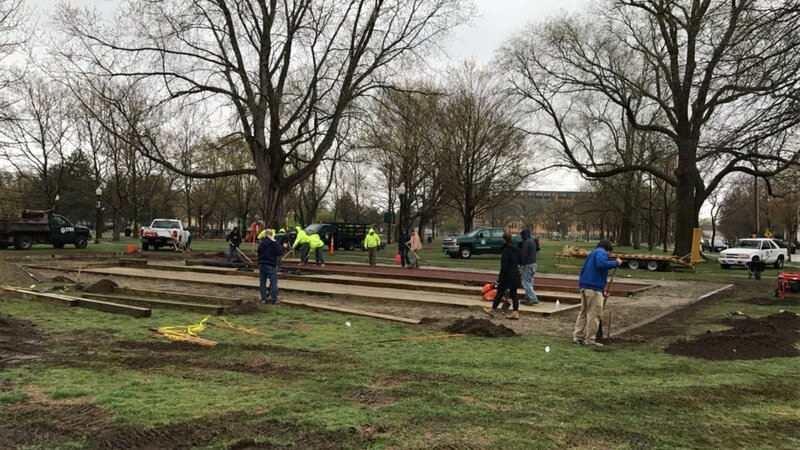 Many thanks to the Parks Department, all our volunteers and to Bocce Build team leaders Caitlin Jamison and Patrick McEvoy (WBNA's West Side Parks Committee Co-Chairs), Seth Zeren and Ben Gugliemi for literally digging in to make this large build happen.